This page is about the callsigns GM1GHZ and MM0MHZ. The call sign G1GHZ has a long pedigree. Originally issued to Keith Bainbridge G6HHV (now VK6RK) on behalf of the Mersey Microwave Group, it was taken over by myself when I moved to Shrewsbury in 1985. The group was renamed the Backpackers Microwave Group, and later the Backpackers Radio Group when activity broadened from microwaves. 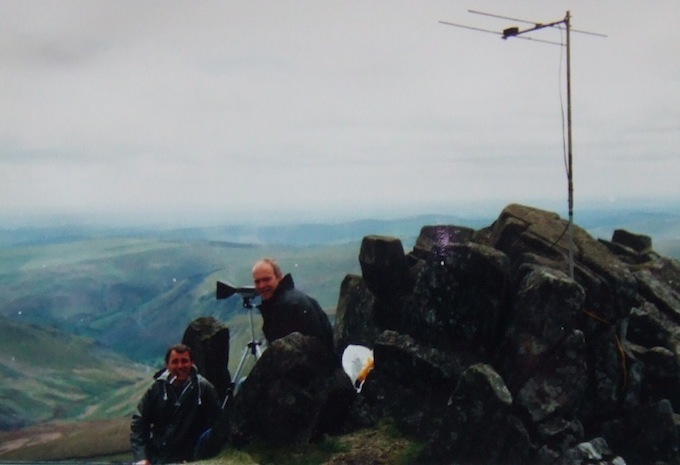 GW1GHZ/P, Cader Berwyn. Image (c) GM4ULS. Operation was on 10GHz WBFM using a Solfan burglar-alarm head. 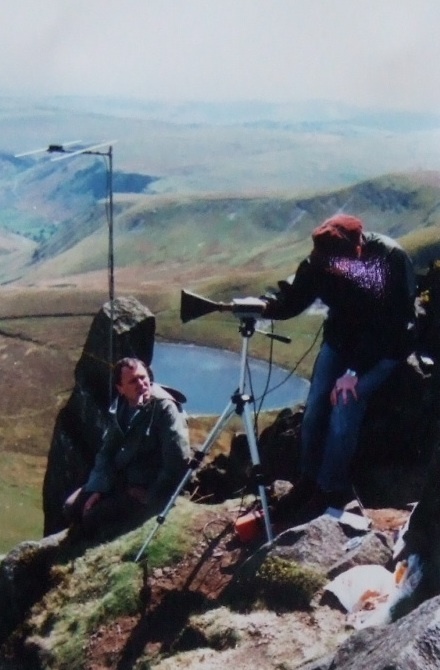 Initially a horn antenna was used (see the top picture) but eventually the set-up used a dish. 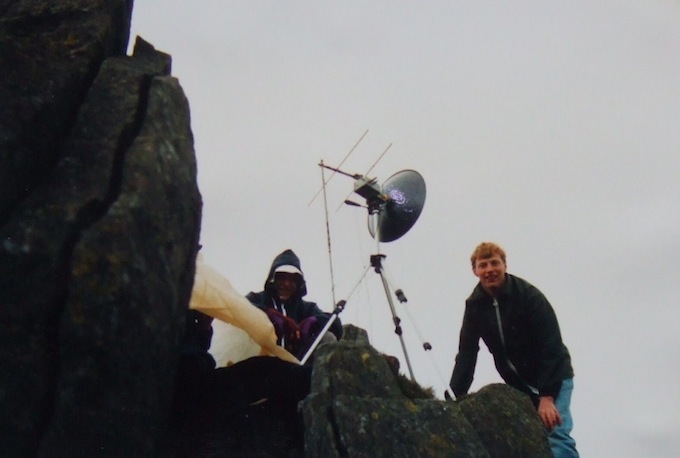 We made the first 10GHz QSO between Wales and the Isle of Man during one of our days on the summit, when we contacted another group at the top of Snaefell. Of course this is no DX to modern 10GHz operators, but at the time it was a big deal and held the record for quite some time for a GW-GD contact. The group also holds the callsign MM0MHZ, which it obtained later with the intention of using it on HF. As with GM1GHZ, anyone who would like to use it should get in touch via the email address above. The group is entirely informal, as is its membership.